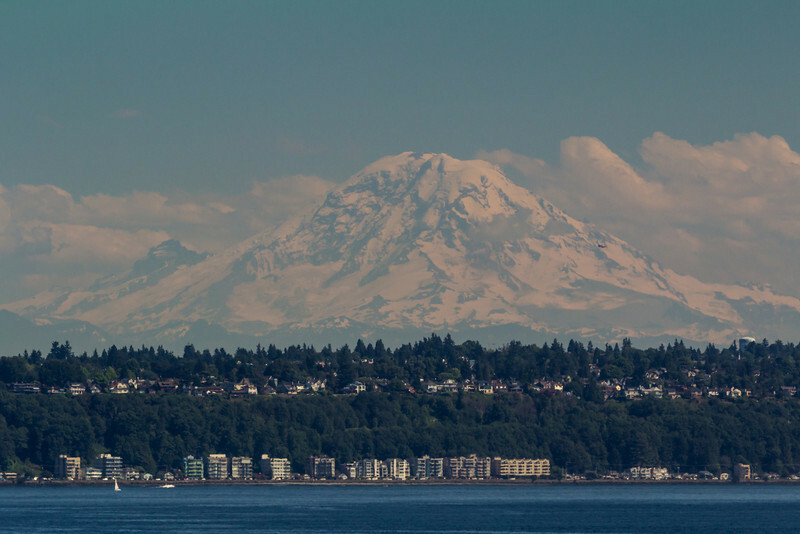 Usually in clouds, the "Mountain was out" as the Seattle locals say when you can see Mt. Rainier from town. In 3 trips to Seattle we never saw it until this day. It is 60 miles away.